Kirschner is professor and chair of the Department of Systems Biology at Harvard Medical School. Gerhart is a professor in the Department of Molecular and Cell Biology at the University of California. Systems Biology is an important field which studies relationships and interactions between various components of biological systems. 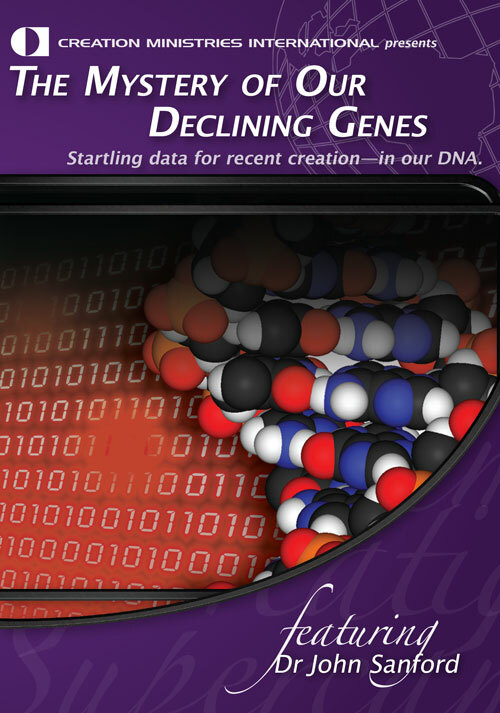 Research in this field and molecular and cell biology are very important to advancing a creationist understanding of the world God created and still sustains despite the Curse.1 This book attempts to provide a naturalistic explanation for the origin of novelty, but many of the observationally based details are valuable to creationists. The authors begin with the standard evolutionary assumptions that there were no witnesses to the origin of life, there is no creator, and that all of life shares a common ancestor. In the introduction the arguments of William Paley are reviewed. The authors propose that living things are fundamentally different from the watch. They compare biological clocks to man made clocks (pp. 5–7). They point out that time keeping devices invented in different cultures or eras often have different components (e.g. the Chinese water clock, the pendulum grandfather clock, the watch driven by an uncoiling spring and the quartz watch) although they have the same basic purpose. They then point out that biological clocks share many of the same components although they may be used differently in different organisms. It is as if they are oblivious to the fact that human engineers commonly reuse good design elements, with modification as necessary, in distinct creations. Apparently they have predetermined that a Divine Creator would not be likely to use such techniques. Yet this shallow argument is the strongest they have for maintaining their evolutionary assumptions. Being evolutionists, the authors fail to mention that limits to variation are also observed. Genetic adaptation to one environment can limit future adaptations to a different environment. 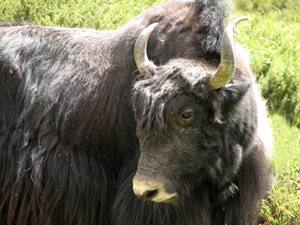 The yak is well adapted to cold climates and high altitudes. Given the genetic changes it carries, it would not be expected that its descendants can become well adapted to hot environments like zebu cattle have. The authors state that Darwin’s theory of evolution has three pillars: the theory of natural selection, the theory of heredity, and the theory of generating variation so natural selection has something to work on. The authors imply the first two are evidence for evolution and fail to recognize their importance in the creation model. 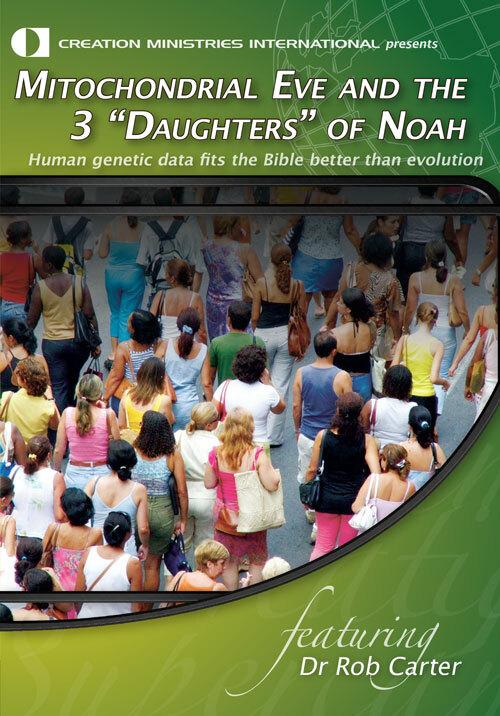 The source of variation is admitted as being a major weakness of evolution, and the authors attempt to correct this deficiency in their book. They do this by advancing the theory of facilitated variation. ‘By facilitated genetic variation, we mean genetic variation that would be (1) biased to be viable … ; (2) biased to give functional outcomes; and (3) biased to be relevant to the environmental conditions [emphasis in original]’(p. 13). ‘ … genetic variation is not channeled toward adaptation to selective conditions. Whatever bias there is to alter the amount and kind of phenotypic variation must arise out of the construction of the organism itself’(p. 34). 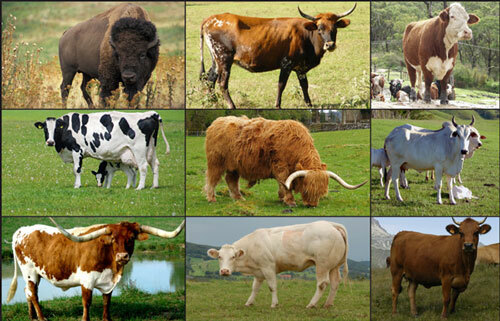 Chapter 2 examines the construction of various creatures beginning with comparisons at the genome level. 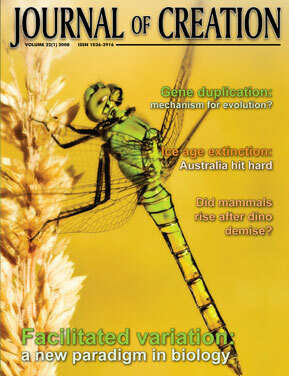 One of the surprises of genome comparisons is the large number of genes that are shared by many ‘divergent’ life forms. For example, we share with bacteria many biochemical reactions such as those for energy metabolism, biosynthesis, and DNA replication and transcription. Eukaryotes share components of cell structure including organelles and cytoskeletons. There are also certain features shared by all multicellular organisms, others shared by all organisms with body symmetry, and still others by organisms with appendages. As these similarities are presented in moderate detail the authors imply there is only one possible explanation, common descent. The similarities at each level are described with no attempt to explain their origin; it is merely taken on faith that only naturalistic processes were required. From a creationary perspective, the re-use of good design elements is consistent with a single Creator (and brings Him great honour).1 It provides an underlying continuity in living things which also display considerable diversity. In a world where animals derive their sustenance from plant and (since the Fall) sometimes animal sources, this continuity undoubtedly simplifies the processes of digesting and assimilating nutrients. It has also proved to be a tremendous blessing in terms of research. Studies with bacteria or animals often yield information which directly impacts human health. For example, animal models of human disease and animal testing of drugs have greatly enhanced our understanding of disease and pharmacology. Additionally, bacteria can be engineered to produce valuable products including human insulin. The third chapter begins by describing how organisms are equipped with the ability to adapt physiologically to various environments. James Baldwin is discussed in relation to the Baldwin effect. This posits that environmental stress results in physiologic changes to relieve the stress; then heritable (genetic) changes follow which are selected for as they stabilize, refine and extend the somatic adaptation. Ivan Schmalhausen pointed out that environmental stress can induce either adaptive or nonadaptive changes. Various experiments are presented to illustrate these concepts. It is mentioned that leading evolutionary biologists were unimpressed with these ideas. One problem was that they failed to explain major anatomical rearrangements. Yet the authors have faith that these processes, when combined with the conserved core process, have the potential to resolve such evolutionary problems as the origin of complex novelty. Much of the discussion in this section is empirically based and quite fascinating. As a creationist very interested in understanding intrabaraminic (within kind) variation and changes throughout history, I find the authors conclusions consistent with much of my own thinking and helpful in further extending it. ‘The organism is not robust because it has been built in such a rigid manner that it does not buckle under stress. Its robustness stems from a physiology that is adaptive. It stays the same, not because it cannot change but because it compensates for change around it. The secret of the stability of the phenotype is dynamic restoration. Mutations or genetic reassortments that target these dynamic restorative systems can reset their optima and generate a class of significant phenotypes with reduced lethality. Evolution can achieve new forms of somatic adaptation so readily because the system, at all levels, is built to vary’ (pp. 107–108). Evolutionists can describe changes in living things that are designed to vary, but they cannot give a rational explanation for how this design arose by naturalistic means. On the other hand, creationists who recognize that living things were created according to their kind by an infinitely wise Creator5 who cares for them (even in a fallen world) and intends the earth to be inhabited have a logical explanation for why biological systems were built thus. Life cannot survive unless it is designed to vary. This involves far more complex construction than Paley’s watch. Evolutionists can describe changes in living things that are designed to vary, but they cannot give a rational explanation for how this design arose by naturalistic means. On the other hand, creationists who recognize that living things were created according to their kind4 by an infinitely wise Creator5 who cares for them (even in a fallen world)6 and intends the earth to be inhabited7 have a logical explanation for why biological systems were built thus. The types of changes suggested here by these authors probably have played a significant role in intrabaraminic changes. ‘… the linkage of several transcriptional regulators and genes into complex circuits, including circuits in which certain regulators control the expression of genes encoding other regulators. These circuits can have logical and operational features like those in computers’ (p. 119). Allosteric proteins are described first in their importance in feedback inhibition. The authors view these types of protein as important because they have separate active sites and regulatory regions. They propose that these two sites are free to evolve separately and the protein can be modified and recruited for use in new reactions. They believe that changes in regulatory mechanisms are responsible for considerable evolutionary change. Because the authors don’t use as many detailed examples in this portion of the discussion, creationists may be tempted to dismiss this idea. However, the authors point out that two similar species of Drosophila which express genes very similarly have significant sequence differences in the DNA of the regulatory region of the genes. Therefore, it is definitely worth further examining these types of changes to clarify their significance. The authors describe how living things make use physiologically of trial and error methods to accomplish certain goals. They first explain this in relation to the cytoskeleton of cells. The cytoskeleton of cells is generally made up of what appears to be a chaotic array of filaments that give the cell its general shape. However, these filaments are by no means static; they are constantly being built and torn down. While the orientation of new filaments is random, there are factors which can stabilize the filaments to prevent their breakdown. In areas where these stabilizing factors exist, there is an abundance of filaments and this influences the shape of the cell. Since the presence of these factors can change, the cell shape can also change over time. Thus, the DNA doesn’t encode exact placement of these filaments, but the general rules which govern the behaviour of the filaments. Creationists have often pointed out that there is considerable variety within created kinds. 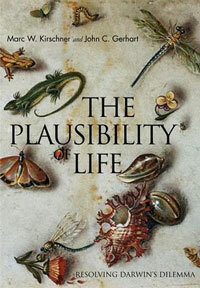 The Plausibility of Life draws from observational data to illustrate how life is constructed at a molecular level to facilitate these types of changes. Thus, many traits seen today need not have been apparent at creation. Instead, much of the ability to vary and adapt was programmed in from the beginning. There is a good description of how these processes of trial and error coupled with responses to signals are important in the development of vasculature and nervous tissue. Indeed, these processes are common throughout the body and are also critical in wound repair and physiologic adaptation. The authors muse, ‘The principles of variation and selection, so powerful a metaphor for evolution itself, are widely employed in many conserved core processes … ’ (p. 153). Despite this poetic attempt to link these attributes to evolution, in the real world this is an important strategy of problem solving that is often employed by intelligent beings. For example, computer programmers use this type of method to design applications able to deal with future uncertainties. It is clear that this design in living things is critical to their ability to survive and respond appropriately to various environmental challenges. The authors declare, ‘That exploratory processes lower the hurdle for generating novelty is well illustrated by the evolution of the vertebrate limb’ (p. 171). Of course common ancestry of all vertebrates is assumed and the origin of the limb itself is not explained. However, they point out that genetic changes that affect the shape of bones do not necessarily require simultaneous genetic changes affecting nerves, muscles, and vessels because of the design in how these structures develop. So bones may lengthen or shorten, fuse or divide, and the supporting structures would still be available to them. While to some degree this is true, it doesn’t make the suggestion of common ancestry significantly more appealing since there are considerably more anatomical changes necessary than variation in limb bones and their associated structures. However, it is likely that this explains a fair amount of intrabaraminic variability. For example, muzzle shape can vary considerably in dogs and still remain functional. Additionally, this suggests that variation in the digits of equines may have a relatively simply underlying genetic basis. Chapter 6 delves into some details of embryology. Early in embryonic development a ‘map’ appears in the embryo. Cells are divided up in compartments and this controls the development of anatomy. The compartments are distinct in that there are some genes (or gene combinations) that are only expressed in particular compartments. At this point the different regions are not directly observable, so they are called invisible anatomy. Yet they orientate the embryo (i.e. head vs tail, back vs front) and control future development. The hox genes are involved in controlling the development of this map and are very conserved. Insects have one cluster of eight kinds of hox genes, vertebrates have four clusters of 13 genes. The same gene that regulates development of the anterior part of the head in Drosophila is expressed in the mammalian forebrain and midbrain. Keeping the assumption of common ancestry, though they have no convincing explanation for how such genes arose, the authors give a description of what they believe a common ancestor looked like. They then explain how this design allows for future changes. The most significant novelty, the ‘preexisting poised processes’ (p. 242) that allow for facilitated variation, have no explanation. If the authors had not continually expressed their faith in common ancestry and a naturalistic origin of life, one might think that this was a creationary model since it provides a plausible designed basis for intrabaraminic change. ‘Compartmentation is a form of modularity, which is a common strategy in many designs. By subdividing the animal into smaller, largely independent domains, the evolution of structures in that domain can be uncoupled from the evolution of structures in other domains … Segregation and specialization reduce the so-called pleiotropy problem, that is, the problem of a mutation having conflicting effects in different regions of the embryo, where a positive change in one place might provoke a negative change in another’ (p. 203). The final two chapters sum up what has been presented in the book and attempt to leave the reader with a naturalistic explanation for variability and the origin of novelty. The authors give several nice examples of intrabarminic changes that fit well with the theory they have presented. However, it is blatantly obvious that the most significant novelty, the ‘preexisting poised processes’ (p. 242) that allow for facilitated variation, have no explanation. If the authors had not continually expressed their faith in common ancestry and a naturalistic origin of life, one might think that this was a creationary model since it provides a plausible designed basis for intrabaraminic change. While recognizing a religious base to ‘creationism’, the authors are oblivious to the religious (atheistic) base of their own evolutionism. It further appears they are ignorant of the biblical creation model. ‘Genetic variation or mutation does not have to be creative; it only needs to trigger the creativity built into the conserved mechanisms’ (p. 227). For a discussion of this subject in its broader context see Williams, A., Facilitated variation: A new paradigm emerges in biology, Journal of Creation 22(1):85–92, 2008. See Holding, J.P., ‘Not to be used again’: homologous structures and the presumption of originality as a critical value, Journal of Creation 21(1):13–14, 2008. Return to text. Sarfati, J, Refuting Evolution, Master Books, Green Forest, AR, Ch. 4, 1999. Return to text. Sarfati, J., Archaeoraptor—Phony ‘feathered’ fossil, 19 October 2007. Return to text. Genesis 1:20–27. Return to text. Romans 16:27; 1 Timothy 1:17. Return to text. Genesis 8:17; Isaiah 45:18. Return to text. Lightner, J., Special tools of life, 12 May 2004, 19 October 2007. Return to text.